Indian and Pakistani journalists from Mumbai and Karachi have come togather to declare their displeasure over "violence and threats against Pakistani artists, writers and cricketers in Mumbai", saying they are "dismayed" at what is happening in India. The statement says, "As journalists from Mumbai and Karachi, who see each other as colleagues, we are dismayed at the recent violent disruptions and threats against Pakistani artists, writers and cricketers in Mumbai." The statement follows Shiv Sena activists breaking into the office of the Board of Control for Cricket in India (BCCI) in Mumbai's Wankhede Stadium early this week. At the stadium, BCCI chief Shashank Manohar was scheduled to meet his Pakistani counterpart Shahryar Khan to discuss India's participation in Pakistan's home series in December. Following the incident, the International Cricket Council (ICC) withdrew Pakistani umpire Aleem Dar from the remaining two one day internationals (ODIs) between India and South Africa, while Wasim Akram and Shoaib Akhtar, who are in India as part of the Star Sports commentary team, declared they would return to Pakistan after the fourth ODI in Chennai. 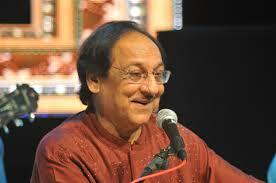 Earlier this month, the party forced the cancellation of a concert by Pakistani singer Ghulam Ali. This followed Shiv Sena "banning" Pakistani actors Fawad Khan and Mahira Khan. It declared it would not to let the actors promote their upcoming films in Maharashtra. Fawad, who made his Bollywood debut with the 2014 film 'Khoobsurat', has more Hindi films in his kitty. The journalists' statement said, "We would like to assert that this behaviour does not represent the average Mumbaikar. Both Ghulam Ali and Pakistani cricketers are appreciated in our city; and the successful book launch of former Pakistani foreign minister khurshid kasuri’s book shows that the people of Mumbai do not share the bigotry of the Shiv Sena". It adds, "The Shiv Sena has a hatred for Pakistan in its DNA, and has unfortunately been allowed free rein by all governments. We are ashamed of its goondagardi and want to assert that it neither represents the citizens of Mumbai nor is its conduct a sign of patriotism." The statement points out, "We journalists in Mumbai and Karachi believe we are colleagues who can work together to lessen hostility between our two countries. We know that is what the majority of our fellow citizens desire." Those from Mumbai who have signed the statement are Jatin Desai, Jyoti Punwani, Prakash Akolkar, Joel Rebello, Pragati Bankhele, Ketan Tanna, Rachita Prasad, Norma Astrid, Niranjan Takle, Mrityunjy Bose, Priti Sompura and BN Kumar. Karachi-based journalists who have signed up are Fazil Jamili, AH Khanzada, Rizwan Bhatti, Imtiaz Khan Faran, Iqra Baig, Shoaib Jatt, Aamir Lathif, Shamim Bano, Hina Mah, Akram Khan and Siraj Ahmed. In a related development, the All-India Forum for Right to Education (AIFRTE) has expressed its solidarity with writers and artists of the country who have returned their Sahitya Akademi award, saying "this shows the measure of their outrage at the alarming loss of space for freedom of thought speech and creative expression in India today." Expecially critical of the "ideological support base of the present political regime", the AIRFTE said, it takes a "narrow unidimensional view of our social and historical reality". It added, "The recent controversy over the so called beef ban has dangerously spiralled into fascist attacks against minorities." "The silence of leaders in government and of Akademi office-bearers in face of such actions has led to the people’s outrage being expressed by the return of awards by writers across the country", the AIRFTE underlined. Among those who have signed the statement include Dr Meher Engineer, chairperson, AIFRTE, and well-known educationist Prof Anil Sadgopal, former dean, Faculty of Education, Delhi University.